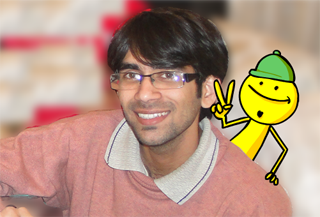 Dominic Chander is the Head of Animation Production at Sun Animatics India Pvt. Ltd. In the past he had also taken the roles of production manager at companies like Accel Animation Studios and Ken Kreative Limited. Before moving to bigger things, Dominic had started his career as a senior animator at Pentamedia Graphics Limited. Over the years, he has gained a lot of experience in the animation world and counts motion capture animation, scheduling, cost estimation and exploring of new talent as some of his specialties. CG Today : Dominic, please accept our warm welcome. Thank you for agreeing to share your experience and insights with us, garnered from years of industry experience. Dominic : It’s a pleasure and thanks for giving me an opportunity to share my experience with you. Kushagra Gour is the founder and owner of CCPRO Games based in New Delhi. Kushagra , who is an enthusiastic game developer who revels in applications which are not only unique but solve small problems that users face on computers, is about to complete his B.Tech and has already taken giant strides in the game development world. Kushagra has been a programmer at Zatun Games and CDOT in the past. At Zatun, he got an opportunity to develop Flash and iPhone games. He has also developed a group chat application called Chutter Mutter during his internship at CDOT. CG Today : Kushagra, please accept a warm welcome to the interview. We are pleased to get this opportunity to speak with you today. 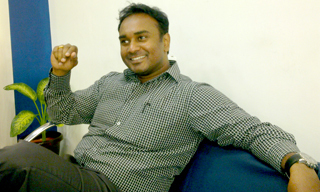 Kalyan Gali is the Creative Head at Icronex Technologies that specializes in providing complete internet solutions. An extremely well read individual Kalyan completed his graduation from JNTU followed by PGDAG in Game Design & 3D Animation from Image College of Art, Animation and Technology. He then went on to do his post graduation in business management from the reputed XLRI Jamshedpur. 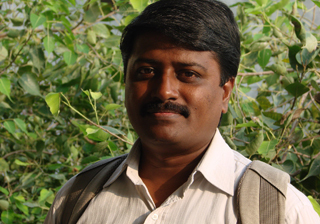 Kalyan had earlier worked in the capacity of specialist game designer at HCL technologies. CG Today : Mr. Kalyan, please accept our warm welcome and thank you for taking time out to share your insights and thoughts with CG Today. Kalyan : You're welcome. In fact, it is a pleasure for me to address an audience whom I belong to. CG Today : Mr. Kalyan, you are currently the creative head at a company that specialized in internet marketing and providing complete strategic solutions to its clients, as a web strategy consultant. How is the experience of working with a team of visual designers, even while trying to get the UI and usability right? Kalyan : When you begin to understand the strengths and weakness of your team, from there on every task is handled just like a cakewalk. The balanced communication with the team about what you want, how you want it and why you want it plays the key role in making the project successful. One important thing that I personally practice in my team is involving them as active participants in every phase of the project. Plus, we have the regular brain storming sessions on the project work phase and flow, every idea is considered and we do regular research for usability of the running project. Moreover it’s a team work that makes the story a success! Mr. Anjan Cariappa is an independent Animation Consultant, who has tremendous experience in the animation industry having played various roles in the past. These include being creative director at Pentamedia Graphics Ltd, Image Infotainment Pvt Ltd and Dawsen Infotech. 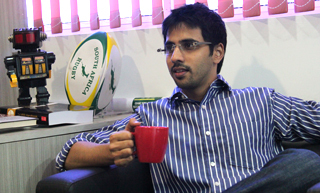 He was also creative consultant at Accel Animation and RedOctane Technologies Private Limited. CG Today : Mr. Anjan, thank you for joining us today and we are sure, our readers will be excited to hear more about your experiences and insights in the animation industry. Anjan : You are welcome. It is indeed a pleasure for me to speak to an audience that I relate well to. Mr. Sreyans Bardia is the director of India Operations and Head of Production at Bot VFX, an outsourcing facility for rotoscopy that eliminates inefficiencies and uncertainties through shorter turnaround times. Before working for BOT VFX, he was manager of projects at Sony Pictures Imageworks India. 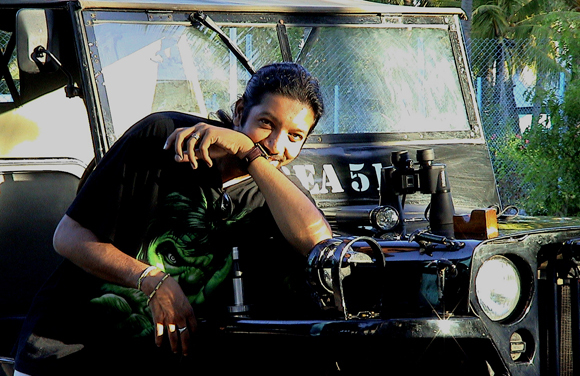 Mr. Sreyans also has a penchant for poetry and photography, which confirms his eye for beauty and aesthetics. CG Today : Mr. Sreyans, thank you for accepting our request to speak to us. I am sure our readers would be delighted to hear about your experiences and insights in the animation industry. Sreyans : Thank you for having me.